May 10, 2012 - Onion and garlic are the commonly used ingredients in the kitchen. We are still completely unaware that its health benefits are numerous. All content following this page was uploaded by Gouri Satpathy on 24 December 2013. The user has requested enhancement of the downloaded file. All in-text references underlined in blue are added to the original document and are linked to publications on ResearchGate, letting you access and read them immediately. 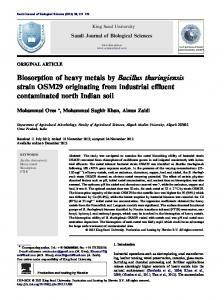 Biosorption of heavy metals by utilising onion and garlic wastes Rahul Negi, Gouri Satpathy, Yogesh K. Tyagi and Rajinder K. Gupta* University School of Biotechnology, GGS Indraprastha University, Dwarka Sector-16, Delhi-110078, India E-mail: [email protected] E-mail: [email protected] E-mail: [email protected] E-mail: [email protected] *Corresponding author Abstract: Onion (Allium cepa L.) and garlic (Allium sativum L.) wastes from market and food canning processes were used for adsorption of Pb2+, Sn2+, Fe2+, Hg2+, As3+ and Cd2+ from multi-component systems at different adsorbent/metal ion ratios. The influence of pH, contact time, temperature and the concentration of adsorbent and adsorbate were studied to optimise the conditions to be utilised on a commercial scale for the decontamination of effluents in a batch adsorption technique. The study was carried out at 50°C and efficiencies were found to be pH dependent. The equilibrium time was 30 minutes and kinetic parameters were calculated using a second order model. The maximum q value was 10.47 ± 0.52 mg g–1 obtained for Pb2+ at an adsorbent loading weight of 0.5 g/100 ml mixed ion solution. Desorption indicates maximum 71% recovery of metal ions, making the remediation process cost effective and reusable. The biomasses were used for removal of heavy metals from both synthetic and industrial effluents and the technique appears industrially applicable and viable. Keywords: heavy metal biosorption; onion wastes; OW; garlic wastes; GW; wastewater. 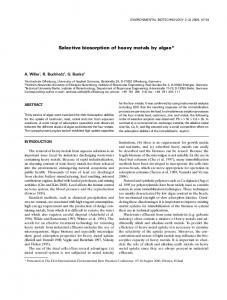 Reference to this paper should be made as follows: Negi, R., Satpathy, G., Tyagi, Y.K. 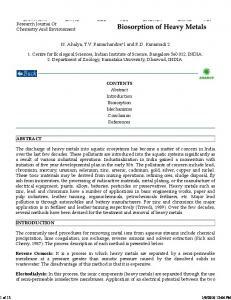 and Gupta, R.K. (2012) ‘Biosorption of heavy metals by utilising onion and garlic wastes’, Int. J. Environment and Pollution, Vol. 49, Nos. 3/4, pp.179–196. Biographical notes: Rahul Negi received his BTech in Biotechnology from University School of Biotechnology, GGS Indraprastha University, Kashmere Gate, Delhi-110043, India. His area of research is biotechnology and waste management. Gouri Satpathy is currently a PhD in Chemistry in the University School of Basic and Applied Sciences, GGS Indraprastha University, Kashmere Gate, Delhi-110043, India. His area of research is food and analytical chemistry and nutraceuticals. Yogesh K. Tyagi is an Assistant Professor in University School of Basic and Applied Sciences, GGS Indraprastha University, Kashmere Gate, Delhi-110043, India. His area of research is biochemistry. 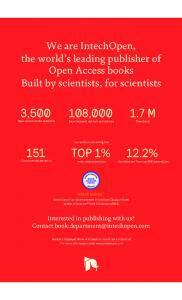 Copyright © 2012 Inderscience Enterprises Ltd.
R. Negi et al. Rajinder K. Gupta is the Dean of University School of Biotechnology, GGS Indraprastha University, Kashmere Gate, Delhi-110043, India. He holds a PhD in Organic Chemistry from India and PhD in Microbiology/Biotechnology from USA. His area of research is biotechnology, food biotechnology and waste management. The contamination of water by toxic heavy metals (Pb2+, Sn2+, Fe2+, Hg2+, As3+ and Cd2+) is one of the most serious environmental problems caused by the rapid development of many industries such as mining, photography, fertiliser, surface fishing, energy and fuel producing, pesticide, iron and steel, leather and aerospace and atomic energy installations (McLaughlin et al., 1996; Schalcsha and Ahumada, 1998; Grousset et al., 1999; Faisal and Hasnain, 2004). The wastes containing metals are directly or indirectly discharged into the environment, causing serious environmental pollution and even threatening human life (Berman, 1980; Yong et al., 1998). 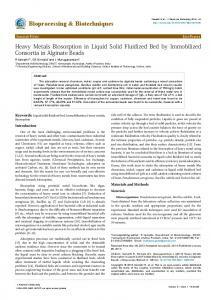 Conventional methods for heavy metal removal from aqueous solution and soil include chemical precipitation, electrolytic recovery, ion exchange/chelation, solvent extraction/liquid membrane separation and size exclusion processes (Esalah et al., 2000; Canet et al., 2002; Weirich et al., 2002; Shi et al., 2009; Li et al., 2009; Shao et al., 2010). But these methods are often cost prohibitive having inadequate efficiencies at low metal concentrations (Hammaini et al., 2003). Moreover, the resulting sludge has to be concentrated and its disposal or recovery of metals from the sludge represents an enormous problem (Cheng and Shang, 1994). The conventional technologies for effluent treatment are not economically feasible for small-scale industries that are prevalent in developing economies. Therefore, new technologies are required to reduce heavy metal concentrations to environmentally acceptable levels at affordable costs. Hence, biosorption with low-cost materials (industrial, agricultural or urban residues) has emerged as a promising technology for recovering heavy metals from contaminated industrial effluents (Sud et al., 2008). Biosorption is not based on only one mechanism. It consists of several ones that differ quantitatively and qualitatively according to the type of biomass, its origin and its processing. Metal sequestration may involve complex mechanisms, mainly ion exchange, chelation, adsorption by physical forces and ion entrapment in inter and intra fibrilar capillaries and spaces of the structural polysaccharide cell wall network. Both living and dead biomasses (an inactive biomass) as well as cellular products such as polysaccharides can be used for metal removal. Various metal-binding mechanisms have been postulated to be active in biosorption (Gang and Weixing, 1998) by action of metallic ions towards the functional groups present in natural proteins, lipids and carbohydrates positioned on cell walls. Biomaterials previously investigated include use of fungal biomass (Guibal et al., 1992; Mathialagan and Viraraghavan, 2009), bacteria (Deleo and Ehrlich, 1994; Katircioglu et al., 2008; Rani et al., 2009), plants (Wankasi et al., 2006) and agricultural by-products (Horsfall and Abia, 2003; Pandey et al., 2007; Dang et al., 2009; Farooq et al., 2010). Studies using biosorbents reveal that both living and dead microbial cells uptake metal ions, hence offering a potentially inexpensive alternative to conventional adsorbents. However, living cells often die due to the toxic effects of the heavy metals. In addition, living cells often require the addition of nutrients and hence increase the biochemical oxygen demand (BOD) and chemical oxygen demand (COD) in the effluent. 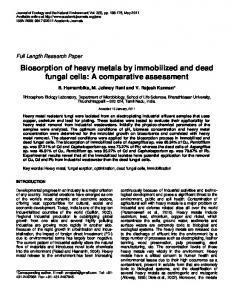 Therefore the use of dead cells or non-living biomaterials as metal sequestering agents is fast gaining ground since toxic ions do not affect them (Folisio et al., 2008; Grimm et al., 2008). Most of these agricultural by-products are widely available and are of little or no economic value, and some of them in fact present a disposal problem. Moreover, dead cells are cheaper, effective in reducing heavy metals to very low levels and require less care and maintenance. Furthermore, the dead biomass could be easily regenerated and reused (Wankasi et al., 2005; Horsfall et al., 2006). This study may generate useful information for the utilisation of native agricultural wastes (by-products) for the removal of heavy metals from wastewater. The inedible and waste parts of onion and garlic, as agricultural by-products from market and food canning industries could be used as heavy metal adsorbents. In this study, the capabilities of the above biomass for adsorption of heavy metal ions were tested at several experimental conditions. The effects of pH, metal concentration, adsorbent dose, time and temperature on the rate of removal of heavy metals were investigated. The equilibrium data is described by Langmuir adsorption isotherm. The effect of anions on biosorption was studied in industrial effluent with multi-component system. The aim of this work was to check and compare the performance of biosorbents by various cheap and ubiquitous agricultural by-products in multi component systems of the above metal ions mixture. 2.1 Biomass preparation The inedible and waste parts of onion and garlic were obtained from the Agricultural Produce Marketing Committee and food processing industries, Delhi, India in bulk and were ground separately using a food processor (Remi), dried in an oven (Shivaki) at 50°C for 24 h and then screened through a 200 μ mesh sieve. This was done to remove any large particles and to obtain adsorbents with a known particle size range. 2.2 Fourier transform infrared spectroscopy analysis The infrared spectrum of onion and garlic wastes was performed using FTIR-8021PC (Shimadzu), with working range 400–4,500/cm; the samples were introduced as KBr pellet. spectrometer 5975B (Agilent) in trace ion detection mode. The samples are introduced by thermal desorption system (marker) in direct sampling mode by programming as pre-sampling conditions: purge time up to 1 min, temperature of flow path 120°C, carrier gas: helium, purge gas: nitrogen. Sampling conditions: 100 mg of sample weighed into empty glass tube, number of sampling cycle: 1, pressurisation time: 1 min, flush: 1 min, sampling up to: 3 min, equilibration: 3 min. Post sampling conditions: line purge: 1 min. Adsorption and desorption were done using Tenax TA sorbent trap, at minimum temperature –10°C and maximum heating temperature 300°C respectively. Trap was desorbed up to: 3 min in split mode. The chromatography separation was done with the fused silica 30 m capillary column with 0.25 mm internal diameter and 0.25 μm film thickness (HP-5ms). The oven was programmed from 60°C (0 min) at 3°C /min to 240°C (6 min) at 5°C /min to 280°C (15 min). The mass selective detector (MSD) was used in EI mode with scan range (m/z 30–550), transfer line temperature 300°C, ion source 230°C, quadruple temperature 150°C and solvent delay 3.0 min. The obtained total ion chromatograms were searched against NIST’05 library (NIST, 2005). 2.4 Biosorption experiments using synthetic wastewater All the chemical reagents used in these studies were of analytical grade. The stock solutions of all the metals (1,000 mg/l) were procured from Sigma Aldrich. The stock solutions were diluted with deionised water, to obtain the required concentration used for adsorption experiments. In order to adjust the environmental parameters, sodium hydroxide was used to control the ionic strength and nitric acid was used for keeping proton balance. All the experiments were carried out on a shaker (Kuhner) set at 180 rpm and maintained at the value required in flasks (250 ml) covered with aluminium foil. In all sets of experiments (except for the adsorbent effect experiments), fixed amounts of adsorbents were thoroughly mixed with the metal ion solution (100 ml) having the desired initial concentration. After shaking the flasks for desired time, the reaction mixtures were filtered through Whatman filter paper # 42 and the concentration of metal ion in the filtrate was measured. All experiments were carried out in triplicates. Two different controls were also performed. The control without adsorbent determined if the walls of the flask adsorbed metal ions. The control without metal ions (distilled water was used instead of metal solution) was to estimate any leaching from adsorbents during the study period. Chemical composition and metal ion concentrations were measured by Inductively Coupled Plasma-Optical Emission Spectroscopy (ICP-OES) Perkin Elmer Optima 2100DV. 2.5 Biosorption experiments using industrial effluent/waste water The industrial effluent (Table 1) was taken from Asea Brown Boveri Ltd, Faridabad, Delhi and the desired amount of stock standard metal solutions were mixed to obtain 50 mg/l of the six metal ions used for adsorption experiment to verify the effect of anions on biosorption. Note: Results are averages of triplicate determinations ± standard deviation. 2.6 Desorption studies A known amount of biomass was taken into a 250 ml flask. Batch kinetic studies were first conducted using fresh biomass to determine the time needed for the metal ions binding process to reach the equilibrium state. After the biosorption tests, the filtered biomass was left in 100 ml of 2% HNO3 for one hour at 30°C in a flask. The biomass was separated from the solution by filtration and washed with deionised water until the pH of the filtrate reached 7. Then the recovered biomass was dried in an electric oven at 50°C and the capacity for biosorption of metals was determined. The biosorption-desorption cycle of metal ions-biomass recovery was repeated two times in order to determine the biosorption capacity of recovered biomasses. The filtrate was also analysed for the estimation of the metal recovery. where Qe denotes the equilibrium concentration of metal in the adsorbate phase, Ci and Cf are the initial and final metal ions concentration in the liquid phase; V is the volume of the solution in litre and W is the weight of adsorbate in gram. 3.1 Chemical characterisation The chemical composition of onion and garlic wastes, suggests that they could have some potential as a biosorbent. The onion wastes (OW) contain 108 ± 1.6 mg/kg Ca, 1.0 ± 0.6 mg/kg Mg, 18 ± 2.7 mg/kg Na and 955 ± 5.3 mg/kg K ions and garlic wastes (GW) contain 945 ± 4.8 mg/kg Ca, 116 ± 2.8 mg/kg Mg, 87 ± 2.8 mg/kg Na, 1,362 ± 6.7 mg/kg K ions. These are present in the above biomass as components of complex organic compounds and thus exchange with heavy metal cations during sorption process (Kratochvil et al., 1998). The presence of carbohydrates and inulin (non-digestible oligosaccharides) in onion and garlic (Van et al., 1995), also theoretically make them good biosorbents (Coudray et al., 2005). The surface FTIR-characterisation indicate the presence of predominant peaks at 3,400.3 cm–1 and 3,377.13 cm–1 (–OH groups), 2,927.7 cm–1 and 2,891.1 cm–1 (C-H groups), 1,622.0 cm–1 and 1,643.2 cm–1 (C = O, C = N), 1,417.6 cm–1 and 1,454.0 cm–1 (–CH3, –CH2–), 1,338.5 cm–1 and 1,263.1 cm–1 (C-O-C, C-F), 1,031.8 cm–1 and 1,026.1 cm–1 (C-O), 927.7 cm–1 and 929.6 cm–1 (cyclic compound), 817.8 cm–1 and 813.8 cm–1 (C = C) and the bands in the range from 599.7 cm–1 to 414.7 cm1 indicate the presence of metal halogen bonds. Those prove the capability of binding to the metal cations (Volesky, 2003). The gas chromatographic analysis of the thermally desorbed volatiles from onion and garlic wastes revealed the principal sulphides present as being: diallyl sulphide, diallyl disulphide, diallyl trisulphide, methyl diallyl disulphide, methyl allyl sulphide, which have the capability to work as ligands in metal complexation (Marcano et al., 2006; Sadik, 2008). A decrease in pH was observed at the end of experiments. This was due to the release of proton as result of ion exchange between metal ions and H+ ions. It is due to the mixed effect of ion exchange and surface complexation on the surface of biomasses and the decrease in adsorption at pH greater than 7 is due to the formation of hydroxide. Maximum metal ions removal was achieved at pH 5 and the results suggest that the above biomasses can be used as a potential decontaminant for the removal of above six metal ions from aqueous solution. where q is milligrams of metal accumulated per gram of the biosorbent material; Ceq is the metal residual concentration in solution; qmax is the maximum specific corresponding to the site saturation and b is the ratio of adsorption and desorption rates. The isotherm constants and their correlation coefficients (r2), the qmax are listed in Table 2. The diffusion of metals with higher atomic weight can generate higher momentum energy. This fact may facilitate the biosorption of the metal by increasing the probability of an effective collision between the metal and the solid surface. For this reason metals with higher atomic weights have more affinity for the biosorbents (Sag et al., 2001). Another factor to consider is the ionic radius. It has been reported that, in the ion-exchange process, larger multivalent ions are more effectively removed than smaller ones (Chong and Volesky, 1996; Prasad and Saxima, 2004). On the other hand, lead has unpaired electrons and could be attracted by a magnetic field probably originating in the biosorbents. Nevertheless, cadmium is very stable (absence of unpaid electron) and could be repelled by a magnetic field. Moreover, there are two possible oxidation states (+2, +4) associated with Pb2+ and only one for Cd2+. The higher the electro-negativity of the atom, the more easily the ion is sorbed by the biosorbents (Chong and Volesky, 1996). The final behaviour will be a combination of all the above factors (Pérez et al., 2008). (b) Note: Lines represent modelled results using the pseudo-second order equation. The values obtained for equilibrium capacity for both metals were very close to those obtained experimentally after 30 min of sorption. It confirmed that 30 minutes was sufficient for sorption to attain equilibrium and sorption followed pseudo second order kinetics. The studies conducted using synthetic metal ion solution (multi-element standard) revealed the practicability of the leached biomass as a potential sorbent for removal of metal ions from industrial effluents. The metal ions and the range of concentrations chosen were representative of typical industrial waste and effluents. In a set of experiments with the above biomasses, it was demonstrated that 50 mg l–1 of metal ions present in the industrial waste could be removed up to 53 % at pH 6.99. The removal of toxic metal at pH 5 increased the percentage removal of metal ions up to 76 % as shown in Figure 7.
the hydroxide ion present in the solution or coordination to functional group positioned in the biomass cell walls. The maximum sequestrations of metal ions were found to be at pH 5 and at temperature of 50°C in 30 min with dry biomass 0.5 g/100 ml metal solutions. Desorption with 2% nitric acid produces a maximum of 71% recovery of metal ions with possibility of biomass reuse to make the remediation process cost effective. This may also provide an affordable, environmental friendly and low maintenance technology for small and medium scale industries in developing countries. Acknowledgements We are grateful to State Grading Laboratory, Directorate of Agricultural Marketing, Delhi, India for all their support. References Appel, C. and Lena, M. (2002) ‘Concentration, pH, and surface charge effects on cadmium and lead sorption in three tropical soils’, Journal of Environmental Quality, Vol. 31, No. 2, pp.581–589. Berman, E. (1980) Toxic Metals and their Analysis, p.67, 94172, Heyden, UK. Canet, L., Ilpide, M. and Seat, P. (2002) ‘Efficient facilitated transport of lead, cadmium, zinc and silver across a flat sheet-supported liquid membrane mediated by lasalocid A.’, Separation Science and Technology, Vol. 37, No. 8, pp.1851–1860. Cheng, S.L. and Shang, D.H. (1994) ‘Removal of Cu(11) from aqueous solution with high ionic strength by adsorbing colloid flotation’, Environmental Science and Technology, Vol. 28, No. 3, pp.474–478. Chong, K.H. and Volesky, B. 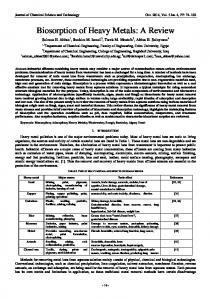 (1996) ‘Description of two-metal biosorption equilibria by Langmuir-type models’, Biotechnology and Bioengineering, Vol. 47, No. 4, pp.451–460. Coudray, C., Rambeau, M., Coudray, C.F., Dressol, J.C., Demigne, C., Gueux, E., Mazur, A. and Rayssiguier, Y. (2005) ‘Dietary inulin intake and age can significantly affect intestinal absorption of calcium and magnesium in rats: a stable isotope approach’, Nutrition Journal, Vol. 4, No. 1, p.29. Dang, V.B.H., Doan, H.D., Dang, V.T. and Lohi, A. (2009) ‘Equilibrium and kinetics of biosorption of cadmium (II) and copper (II) ions by wheat straw’, Bioresource Technology, Vol. 100, No. 1, pp.211–219. Deleo, P.C. and Ehrlich, H.L. 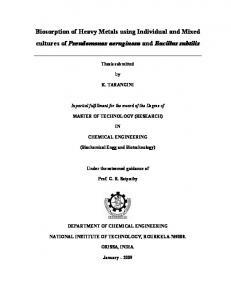 (1994) ‘Reduction of hexavalent chromium by pseudomonas fluorescens LB 300 in batch and continuous cultures’, Applied Microbiology and Biotechnology, Vol. 40, No. 5, pp.756–759. Dimitrova, S.V. and Mehandgiev, D.R. 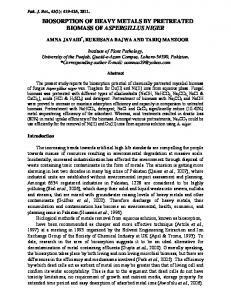 (1998) ‘Lead removal from aqueous solution by granulated blast – furnace slag’, Water Resources, Vol. 32, No. 11, pp.3289–3292. Esalah, O.J., Weber, M.E. and Vera, J.H. (2000) ‘Removal of lead, cadmium and zinc from aqueous solutions by precipitation with sodium di-(n-octyl) phosphinate’, Canadian Journal of Chemical Engineering, Vol. 78, No. 5, pp.948–954. Faisal, M. and Hasnain, S. (2004) ‘Microbial conversion of Cr(vi) into Cr(iii) in industrial effluent’, African Journal of Biotechnology, Vol. 3, No. 11, pp.610–617. Farooq, U., Kozinski, J.A., Khan, M.A. 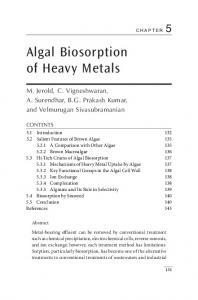 and Athar M. (2010) ‘Biosorption of heavy metal ions using wheat based biosorbents – a review of the recent literature’, Biorescource Technology, Vol. 101, No. 14, pp.5043–5053. Folisio, C., Lodi, A., Soletto, D. and Converti, A. (2008) ‘Cadmium biosorption on Spirulina platensis biomass’, Bioresource Technology, Vol. 99, No. 13, pp.5933–5937. Gang, S. and Weixing, S. (1998) ‘Sunflower stalks as adsorbents for removal of metal ions from wastewater’, Industrial and Engineering Chemistry Research, Vol. 37, No. 4, pp.1324–1328. Grimm, A., Zanzi, R., Bjornbom, E. and Cukierman, A.L. (2008) ‘Comparison of different types of biomasses for copper biosorption’, Bioresource Technology, Vol. 99, No. 7, pp.2559–2565. Grousset, F.E., Jouanneau, J.M., Castaing, P., Lavaux, G. and Latouche, C. (1999) ‘A 70-year record of contamination from industrial activity along the Garonne river and its tributaries’, Estuarine, Coastal and Shelf Science, Vol. 8, No. 3, pp.401–414. Guibal, E., Roulph, C. and Cloirec, P. (1992) ‘Uranium biosorption by a filamentous fungus Mucor miehei, pH effect on mechanisms and performances of uptake’, Water Resources, Vol. 26, No. 8, pp.1139–1145. Hammaini, A., González, F., Ballester, A., Blázquez, M.L. and Muñoz, J.A. (2003) ‘Simultaneous uptake of metals by activated sludge’, Mineral Engineering, Vol. 16, No. 8, pp.723–729. Hashem, M.A. 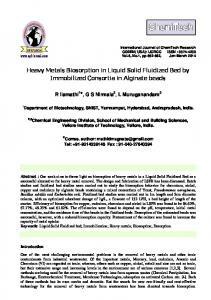 (2007) ‘Adsorption of lead ions from aqueous solution by okra wastes’, International Journal of Physical Sciences, Vol. 2, No. 7, pp.178–184. Horsfall, M. and Spiff, A.I. (2004) ‘Studies on the effect of pH on the sorption of Pb2+ and Cd2+ ions from aqueous solutions by Caladium bicolor (wild cocoyam) biomass’, Electronic Journal of Biotechnology, Vol. 7, No. 3, pp. 313-323. Horsfall, M., Ogban, F.E. and Akporhonor, E.E. (2006) ‘Recovery of lead and cadmium ions from metal-loaded biomass of wild cocoyam (Caladium bicolor) using acidic, basic and neutral eluent solutions’, Electronic Journal of Biotechnology, Vol. 9, No. 2, pp.152–156. Horsfall, M.J. and Abia, A.A. (2003) ‘Sorption of Cd(II) and Zn(II) ions from aqueous solutions by cassava waste biomass (Manihot esculenta cranz)’, Water Resources, Vol. 37, No. 20, pp.4913–4923. Katircioglu, H., Aslim, B., Turker, A.R., Atiei, T. and Beyath, Y. (2008) ‘Removal of cadmium(II) ion from aqueous system by dry biomass, immobilized live and heat inactivated Oscillatoria sp. 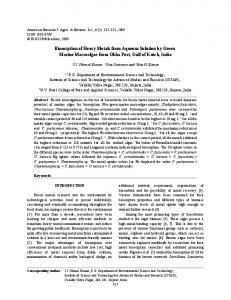 H1 isolated from freshwater (Mogan lake)’, Bioresource Technology, Vol. 99, No. 10, pp.4185–4191. Kratochvil, D., Pimentel, P. and Volesky, B. 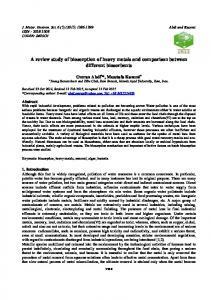 (1998) ‘Removal of trivalent and hexavalent chromium by seaweed biosorbent’, Environmental Science and Technology, Vol. 32, No. 18, pp.2693–2698. Kumar U. 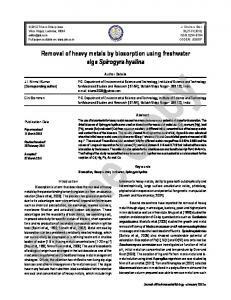 (2006) ‘Agricultural product and by-product as a low cost adsorbent for heavy metal removal from water and wastewater: a review’, Scientific Research and Essays, Vol. 1, No. 2, pp.33–37. Lau, P.S., Lee, H.Y., Tsang, C.C.K., Tam, N.F.Y. and Wong, Y.S. 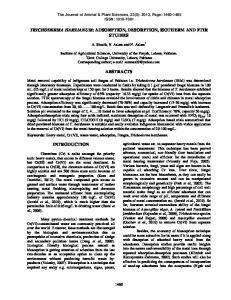 (1999) ‘Effect of metal interference, pH and temperature on Cu and Ni biosorption by Chlorella vulgaris and Chlorella miniata’, Environmental Technology, Vol. 20, No. 9, pp.953–961. Li, H., Shi, W., Shao, H. and Shao, M. (2009) ‘The remediation of the lead-polluted garden soil by natural zeolite’, Journal of Hazardous Materials, Vol. 169, Nos. 1–3, pp.1106–1111. Marcano, L., Carruyo, I., Fernandez, Y., Montiel, X. and Torrealba, Z. (2006) ‘Determination of vanadium accumulation in onion root cells (Allium cepa L.) and its correlation with toxicity’, Biocell (Mendoza), Vol. 30, No. 2, pp.259–267. Mathialagan, T. and Viraraghavan, T. (2009) ‘Biosorption of pentachlorophenol from aqueous solutions by a fungal biomass’, Bioresource Technology, Vol. 100, No. 2, pp.549–558. McKay, G., Ho, Y.S. and Ng, J.C.P. (1999) ‘Biosorption of copper from wastewater: a review’, Separation and Purification Methods, Vol. 28, No. 1, pp.87–125. Mclaughlin, M.J., Tiller, R.G., Naidu, R. and Stevens, D.P. (1996) ‘Review: the behaviour and environmental impact of contaminants in fertilizers’, Australian Journal of Soil Research, Vol. 34, No. 1, pp.1–54. Nassar, M.M. (1997) ‘The kinetics of basic dyes removal using palmfruit bunch’, Adsorption Science and Technology, Vol. 15, No. 8, pp.609–617. Nassar, M.M. and Magdy, Y.H. (1999) ‘Mass transfer during adsorption of basic dyes on clay in fixed bed’, Indian Chemical Engineer Journal, Vol. 40, No. 1, pp.27–30. NIST (2005) USA, available at http://chemdata.nist.gov/massspc/amdis/index.html (accessed on 04/07/2008). Pandey, P.K., Choubey, S., Verma, Y., Pandey, M., Kamal, S.S.K. and Chandrashekhar, K. (2007) ‘Biosorptive removal of Ni(II) from wastewater and industrial effluent’, International Journal of Environmental Research and Public Health, Vol. 4, No. 4, pp.332–339. Pérez, M.A.B., Ballester, A., González, F., Blázquez, M.L., Muñoz, J.A., Sáez, J. and Meseguer Zapata V. (2008) ‘Study of cadmium, zinc and lead biosorption by orange wastes using the subsequent addition method’, Bioresource Technology, Vol. 99, No. 17, pp.8101–8106. Prasad, M. and Saxima, S. (2004) ‘Sorption mechanism of some divalent metal ions onto low-cost mineral adsorbent’, Industrial and Engineering Chemistry Research, Vol. 43, No. 6, pp.1512–1522. Rani, M.J., Hemambika, B., Hemapriya, J. and Kannan, V.R. 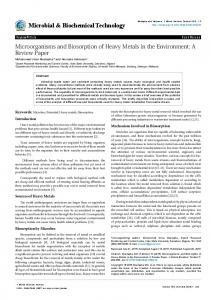 (2009) ‘Comparative assessment of heavy metal removal by immobilized and dead bacterial cells: a biosorption approach’, African Journal of Environmental Science and Technology, Vol. 4, No. 2, pp.77–83. Rodda, D., Johnson, B. and Wells, J. (1993) ‘The effect of temperature and pH on the adsorption of copper (II), lead (II) and zinc (II) onto goethite’, Journal of Colloid and Interface Sciences, Vol. 161, No. 1, pp.57–62. Sadik, N.A.H. (2008) ‘Effect of diallyl sulfide and zinc on cadmium-induced oxidative damage and trace elements level in the testes of male rates’, Journal of Food Biochemistry, Vol. 32, No. 5, pp.672–691. Sag, Y., Akcael, B. and Kutsal, T. (2001) ‘Evaluation, interpretation, and representation of three-metal biosorption equilibria using a fungal biosorbent’, Process Biochemistry, Vol. 37, No. 1, pp.35–50. Schalcsha, E. and Ahumada, I.T. (1998) ‘Heavy metals in rivers and soils of Central Chile’, Water Science and Technology, Vol. 37, No. 8, pp.251–255. Shao, H.B., Chu, L.Y., Ruan, C.J., Li, H., Guo, D.G. and Li, W.X. (2010) ‘Understanding molecular mechanism for improving phytoremediation of heavy metal contaminated soil’, Critical Review of Biotechnology, Vol. 30, No. 1, pp.23–30. Shi, W., Shao, H.B., Li, H., Shao, M. and Du, S. (2009) ‘Co-remediation of the lead-polluted garden soil by exogenous natural zeolite and humic acids’, Journal of Hazardous Materials, Vol. 167, Nos. 1–3, pp.136–140. Sud, D., Mahajan, G. and Kaur, M.P. (2008) ‘Agricultural waste material as potential adsorbent for sequestering heavy metal ions from aqueous solutions – a review’, Bioresource Technology, Vol. 99, No. 14, pp.6017–6027. Van, L.J., Coussement, P., DeLeenheer, L., Hoebregs, H. and Smits, G. (1995) ‘On the presence of inulin and oligofructose as natural ingredients in the Western diet’, Critical Reviews in Food Science and Nutrition, Vol. 35, No. 6, pp.525–552. Veglio, F., Beolchini, F. and Gasbarro, A. (1997) ‘Biosorption of toxic metals: an equilibrium study using free cells of Arthrobacter sp.’, Process Biochemistry, Vol. 32, No. 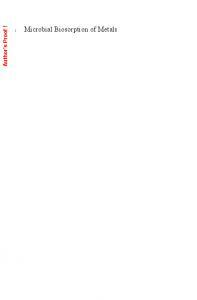 2, pp.99–105. Volesky, B. (2003) Sorption and Biosorption, 316pp, ISBN 0-9732983-0-8, Montreal-St. Lambert, Quebec, Canada, BV Sorbex, Inc. Wankasi, D., Horsfall, M. and Spiff, A.I. (2006) ‘Sorption kinetics of Pb2+ and Cu2+ ions from aqueous solution by nipa palm (Nypa fruticans wurmb) shoot biomass’, Electronic Journal of Biotechnology, Vol. 9, No. 5, pp.587–592. Wankasi, D., Horsfall, M.J. and Spiff, A. (2005) ‘Desorption of Pb2+ and Cu2+ from nipa palm (Nypa fruticans wurmb) biomass’, African Journal of Biotechnology, Vol. 4, No. 9, pp.923–927. Weirich, D.B., Hari, R., Behra, P. and Sigg, L. (2002) ‘Adsorption of Cu, Cd and Ni on goethite in presence of natural ground water ligands’, Environmental Science Technology, Vol. 36, No. 3, pp.328–336. Yong, H., Lee, W.T. and Lawrence, D.A. (1998) ‘Differential effects of lead and cAMP on development and activities of Th1- and Th2- lymphocytes’, Toxicological Sciences, Vol. 43, No. 2, pp.172–185. 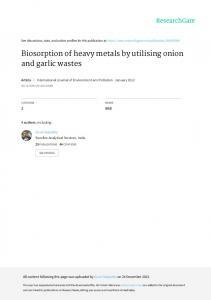 Report "Biosorption of heavy metals by utilising onion and garlic wastes"